Sexting, lawsuits, multi-billion dollar valuations – a warts-and-all primer on the planet's hottest social app. What is Snapchat? 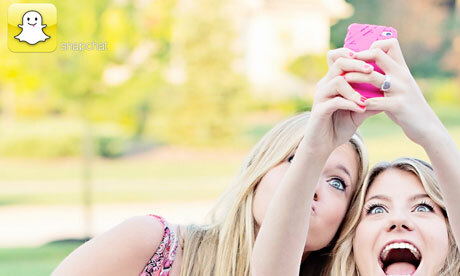 It's the social app that's currently seeing more than 350m photos shared every day. The startup with no revenues that's received nearly $94m of funding so far, and is reportedly valued at $3.5bn. It's the service that may be pulling millions of teenagers away from Facebook, but is also giving parents headaches over sexting and cyberbullying. It's making VC firms giddy with excitement, but is being sued by one of its own co-founders. Snapchat raised $485k of seed funding from VC firm Lightspeed Venture Partners in May 2012, after one of its partners discovered that the three most popular apps among his daughter's high-school class were Angry Birds, Instagram and Snapchat. "That’s interesting company. 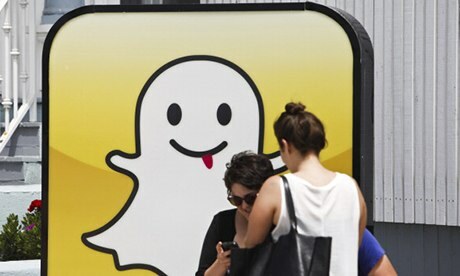 Of those, the one we’d never heard of was Snapchat," Lightspeed's Jeremy Liewtold TechCrunch in May 2013. Just four months later, Snapchat raised an even bigger round, $80m,reportedly including $20m in a "secondary offering" that likely helped Spiegel and Murphy cash out some of their equity in the company. This round was led by another firm, Institutional Venture Partners, and by this point, Snapchat's valuation was $800m. In personal blog posts, some of these investors have rhapsodised about Snapchat. "At Benchmark we search for entrepreneurs who want to change the world, and Evan and Bobby certainly have that ambition,"wrote Lasky in February. 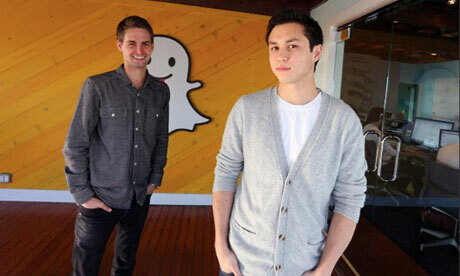 "We believe that Snapchat can become one of the most important mobile companies in the world." More giddy blog posts may lie ahead: All Things Digital claimed in October that Snapchat is in talks about yet another funding roundvaluing the company at a startling $3.6bn, with a lead investor potentially being "a strategic party from Asia" – later fingered as internet firm Tencent. There's WhatsApp and Kik on the messaging side, along with a(possibly) renascent BBM – not to mention Line, KakaoTalk and WeChat, which have big ambitions to expand beyond their home markets in Asia.